Long term unfurnished contracts are usually 3 years, with a minimum one year. In the past the tenant has been extremely protected, however this is slowly relaxing over the years. The three reasons you can cancel a long-term contract are: if you want to sell, to use it yourself as your primary residence, or “grave difficulties” for example extreme debt. If selling then you must first allow the tenant to buy, but they still have to offer the market rate. You should consider this option if you are looking to “buy and forget”. 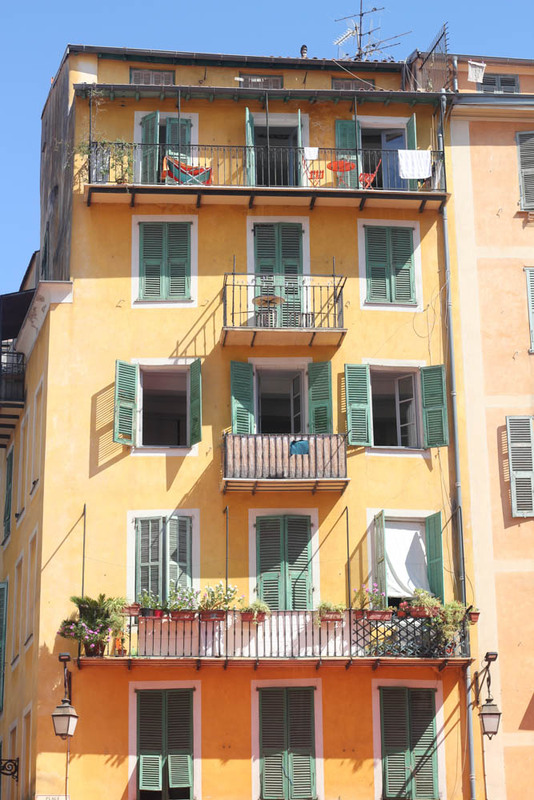 Estate agents will charge the renter one month rent as a fee, and as there is a chronic shortage of rental apartments in Nice you can be very picky as to who rents. Eviction for failure to pay rent requires a lengthy court case so take your time choosing the right tenant. Nice is home to a vast array of professionals, both local and foreign, so choosing a good quality tenant should not be difficult. The tenant pays for all running costs, including property management (“Syndic”) charges, electricity, water, Internet, and insurance. Everything except for the council tax bill (“taxe fonciere”). A long term furnished contract is a minimum of one year unless the renter is a student, in which case it may be nine months and does not renew automatically. The rental is generally higher on renting furnished, up to 20% more, though the agency fee is correspondingly higher at around 10% of the rental income. The rules are generally the same as unfurnished rental, except for the student contract, though you do not have to offer the tenant first right when selling. The tenant usually pays all ongoing costs as with an unfurnished apartment but here things are more negotiable. Many buy-to-let in the less prime areas offer a 9-month rental to a student from September to May, and do holiday rental in June-July-August, to optimise yield. The big money is in holiday rentals. AirBnb especially has exploded in Nice. As of 2017, people will be allowed to earn up to €23,000 per year without having to declare the income as a rental business. AirBnb automatically collects the “taxe de sejour” for you, a holiday rental tax charged per night at around 70 cents. Starting 2019, the French tax authorities will be able to ask AirBnb for the rental revenue of owners to check for undeclared income. After €23,000 you will have to declare to the RSI your income. BUT if rental income is more than 50% of your annual revenue there is a special tax advantageous statute of “loueur en meublé professionnel” you can operate under. In Nice all property is freehold and as such are free to do whatever you wish. Neither the building management company or other residents can prevent you from renting out your apartment to holiday makers unless it is explicitly marked in the building rules (which can only be changed with a majority rule by residents at an AGM). If holiday makers make too much noise after 11pm then neighbours may complain to the police. In extreme cases, this can lead to the owner of the apartment being fined for nuisance. In general Nice attracts a very good clientele, and rental companies tells us there are very few problems. As a rule, the shorter the rental the more problems and wear and tear. If you set a minimum of 5 nights stay then you will not experience many problems. If you set 1-3 nights minimum stay then guests may not treat your property with as much respect and the constant traffic may cause tension with your neighbours.